If someone is responsible, they are able to be trusted to do what is right or to do the things that are expected or required of them. 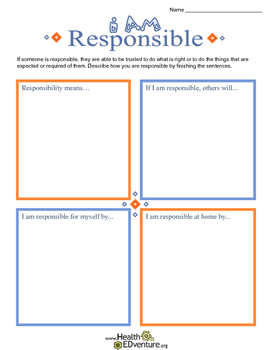 In this activity, students describe how they are responsible by completing sentence starters. Find over 330 learning activities at the Health EDventure store.